Licensee name should be the end user’s name (your client), and not yours. Do not leave your client’s email address during the checkout, or the license key will be sent to your client directly, which may not be what you want. 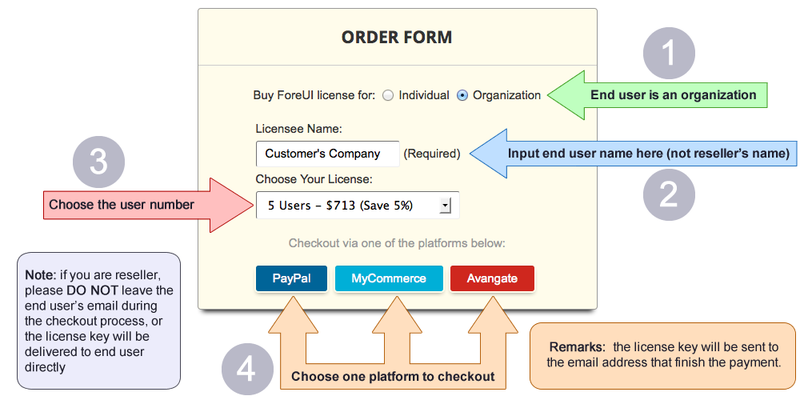 The figure below demonstrates how to fill in the order form for your client.